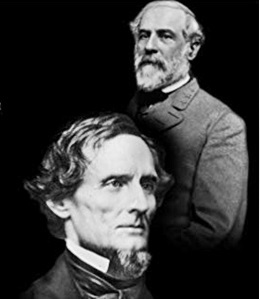 1863 – In the aftermath of his defeat at Gettysburg, Confederate General Robert E. Lee sent a letter of resignation as commander of the Army of Northern Virginia to Confederate President Jefferson Davis. The letter, which arrived more than a month after Lee’s retreat from Pennsylvania, indicated how much Lee took the failure at Gettysburg personally. Lee not only seriously questioned his ability to lead his army; he was also experiencing significant physical fatigue. He might also have sensed that Gettysburg was his last chance to win the war. 1942 – Six German saboteurs who secretly entered the United States on a mission to attack its civil infrastructure were executed by the United States for spying. Two other saboteurs who disclosed the plot to the FBI and aided U.S. authorities in their manhunt for their collaborators were imprisoned. Just before midnight on June 12, in a heavy fog, a German submarine reached the American coast off Amagansett, Long Island, and deployed a team who rowed ashore in an inflatable boat. Just as the Germans finished burying their explosives in the sand, John C. Cullen, a young U.S. Coast Guardsman, came upon them during his regular patrol of the beach. The leader of the team, George Dasch, bribed the suspicious Cullen, and he accepted the money, promising to keep quiet. However, as soon as he passed safely back into the fog, he sprinted the two miles back to the Coast Guard station and informed his superiors of his discovery. After retrieving the German supplies from the beach, the Coast Guard called the FBI, which launched a massive manhunt for the saboteurs, who had fled to New York City. Although unaware that the FBI was looking for them, Dasch and another saboteur, Ernest Burger, decided to turn themselves in and betray their colleagues, perhaps because they feared capture was inevitable after the botched landing. On July 15, Dasch called the FBI in New York, but they failed to take his claims seriously, so he decided to travel to FBI headquarters in Washington, D.C. On July 18, the same day that a second four-man team successfully landed at Ponte Verdra Beach, Florida, Dasch turned himself in. He agreed to help the FBI capture the rest of the saboteurs. Burger and the rest of the Long Island team were picked up by June 22, and by June 27, the whole of the Florida team was arrested. To preserve wartime secrecy, President Franklin D. Roosevelt ordered a special military tribunal consisting of seven generals to try the saboteurs. At the end of July, Dasch was sentenced to 30 years in prison, Burger was sentenced to hard labor for life, and the other six Germans were sentenced to die. Seaman Cullen (shown above) became enveloped in the Coast Guard’s publicity machine. 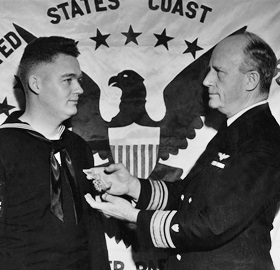 He was brought to news conferences to tell of his adventure; appeared at parades, ship launchings and war-bond drives; and received the Legion of Merit. 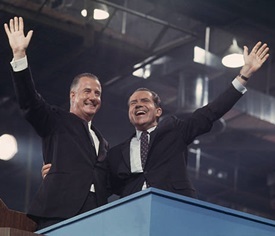 1968 – At the Republican National Convention in Miami, Richard M. Nixon and Spiro T. Agnew were chosen as the presidential and vice-presidential nominees for the upcoming election. 1969 – Photographer Ian Macmillan was given only ten minutes to take a photo which would become one of the most famous album covers of all time. 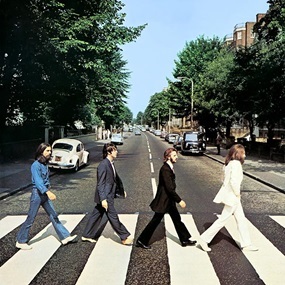 Standing on a step-ladder while a policeman held up traffic, Macmillan photographed the Beatles walking across the street near the Abbey Road studios in London. 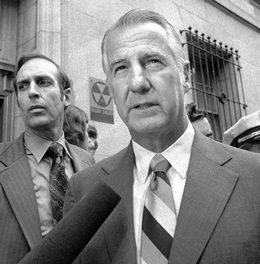 Despite the charges of bribery and income tax evasion, Agnew vowed that he would never resign and blamed his troubles on the press, who, he said, were out to get him for his controversial stand on the Vietnam War. 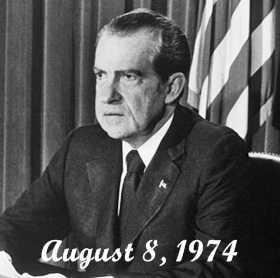 Ultimately, however, he resigned from office on October 10, 1973. 1974 – In an evening televised address, President Richard M. Nixon announced his intention to become the first president in American history to resign, effective at noon the next day. With impeachment proceedings underway against him for his involvement in the Watergate affair, Nixon was finally bowing to pressure from the public and Congress to leave the White House. 1988 – The Chicago Cubs hosted the first night game in the history of Wrigley Field. For 74 seasons, the Cubs had played only day games at home, but on this date, the Cubs played the Philadelphia Phillies in the park’s first night game. 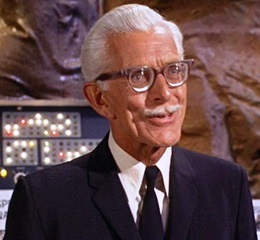 1988 – Actor Alan Napier, best known for portraying Alfred Pennyworth, the butler in the 1960s Batman television series, died of natural causes at the age of 85. While Batman may have been his claim to fame, Napier appeared in over 50 films, including My Fair Lady, The House of The Seven Gables, Journey To The Center of The Earth, The Song of Bernadette, Joan of Arc, Macbeth, Julius Caesar, and The Great Caruso. Napier Factoid: He was the cousin of former Prime Minister Neville Chamberlain and the great-great grandson of English author Charles Dickens. 1991 – The tallest structure on the planet’s surface (standing 2,120 feet high) bent, snapped and collapsed in Konstantynów, Gąbin, Poland. It had stood twice the height of the next-tallest structure in Europe and would not be surpassed by any tower on Earth until the completion of the (2,722-foot) Burj Khalifa nearly two decades later. The Radiophonic Transmission Center Konstantynow (aka Warsaw Radio Tower) was a pragmatic affair of trusses and wires, sending out signals that could be picked up from Europe, Africa, and even North America. 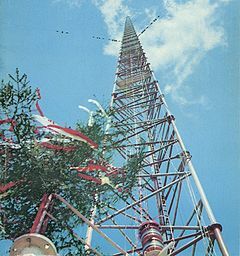 Built from 1970 to 1974, the 420-ton steel lattice tower fell into disrepair over time, setting it up for the sudden disaster that would ultimately bring it down. Susceptible to collapse due to lack of maintenance, an accident while exchanging guy-wires in high winds led the main mast to buckle and then break halfway up. Debris and shrapnel were sent spiraling into the air and shooting into the ground far below. Miraculously, no one was hurt, and support structures on the site, including the helix and transmitter buildings, remained intact. 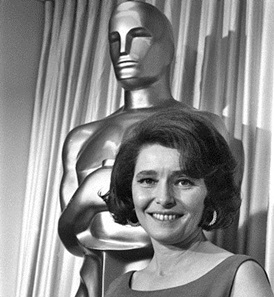 2010 – Academy Award winning actress Patricia Neal died from lung cancer at the age of 84. She starred in over 40 films, including A Face In The Crowd, Breakfast At Tiffany’s, Operation Pacific, The Day the Earth Stood Still, In Harm’s Way, and Hud, for which she won the Academy Award for Best Actress. 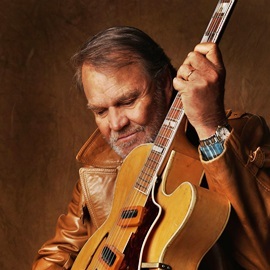 2017 – Singer/guitarist Glen Campbell died after a six-year battle with Alzheimer’s disease. He was 81. After spending several years playing with the group of session musicians known as “the Wrecking Crew,” Campbell released over 70 albums in a solo career that spanned five decades, accumulating over 45 million record sales worldwide, including 12 gold albums, four platinum albums, and one double-platinum album. Among Campbell’s hits were Gentle on My Mind, By The Time I Get To Phoenix, Wichita Lineman, Dreams of The Everyday Housewife, Galveston, Rhinestone Cowboy and Southern Nights. Compiled by Ray Lemire ©2018 RayLemire.com. / Streamingoldies.com. All Rights Reserved.